Take a second and do me a favor. I want you to think about the last time you changed your home’s locks. 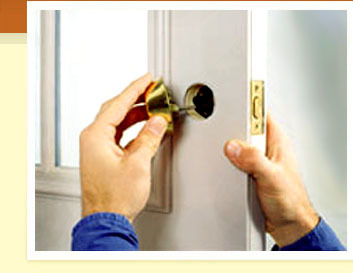 When was the last time you sought the help of locksmith services and had your home rekeyed? I know, I know, you’re probably wondering why I’m asking you something that you likely think has no real affect on your day-to-day life. If I haven’t moved lately why would I rekey my home? You’re not wrong of course; you should rekey your home after you have moved into a new one. But did you know that that’s just one of the reasons why you should update your lock and key? Take a look at these other reasons to see if you’re being as smart as you can be. Image from Dallas Locksmith Co.
Changing your lock and key after your purse or wallet has been stolen is not something many people think of doing. Why? Probably because they think that there is no way that the thief will be able to track their purse back to their home. However, what seems to escape most people is the issue of your license. Your driver’s license will contain the information that they need to track your house keys back to your home. This applies to your car as well. If your car key was stolen along with your wallet and ID then there is every chance that you need to enlist car locksmith services, too. In either case, be proactive and assume that there is now a stranger with a penchant for thievery that has your information to your home and family. Here’s the problem with renting: keys pass between multiple hands throughout the years. What this means is that there is every possibility that the key to your home is still in the hands of a former tenant. The problem with this is that you have no idea who has lived in your home before you and what their intentions will be once they have moved out. Instead of risking the obvious, talk to your landlord and ask when the last time the locks were rekeyed. If they have not been switched out each time with each new tenant then remember that it is within your right, as the renter, to request that a new lock and key be provided. This will help lower any added possibility of a break-in occurring. Similar to the problem with renting is the issue with moving. If you have sold or bought a new home within the last few years then it’s high time you get to switching out your locks (unless you already have). In both cases you need to account for all of the copies of keys you have made over the years. This includes keys to family members, friends, and keys left in hiding places that were forgotten about. With each new move you should be sure to get a new lock and key to avoid any problems that might possibly take place and result in your home being broken into. Have you ever gone to turn a key in the lock and had it snap in half? This is not an uncommon occurrence, but it is one that can be a royal pain if it catches you off guard. If it has been a long time since the last key change then it might be time to start fresh. Consider saving yourself some heartache (and not to mention stress) by investing in some locksmith services to install new locks and keys for you. Not only will this help keep things new on your end, but it will also help make your home a little safer. Many homes have old locks that are dated and are easily broken into, or have keys that can be easily copied. When this happens, you open the door to having your home broken into. Instead, consider having your lock and key replaced with something that is not only newer, but also more sophisticated. No, I’m not talking about getting your keys replaced with a hand touch smart lock—though those are of course an option. However, something like a stronger lock with keys that cannot be copied without your control are an excellent choice for protecting your home. Getting your home under a new lock and key system is one of the best things you can do for your home. Though the obvious reason for getting a home rekeyed is a change of ownership, many people still forego this simple step. Don’t find yourself in a sticky situation and instead keep your locks up-to-date. 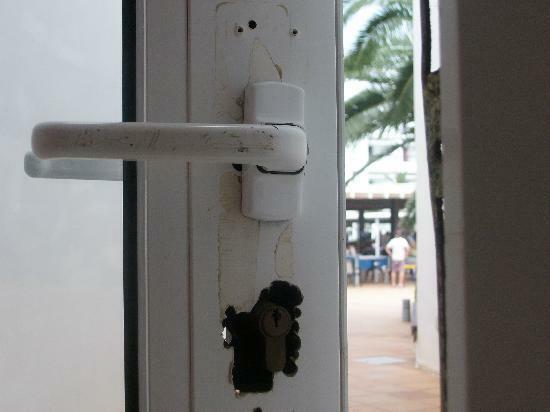 When do you think it’s time to call for locksmith services? Comment below with what you think!